The title of “Jacob’s Mom” has come with certain expectations that I never imagined when I was having a baby. I began the journey of motherhood with such a positive spirit and dreams of what my child would be like not ever thinking that God had another plan in mind. The road that I thought I would be taking took a big detour, and I have been taken on a completely different journey. This isn’t a bad thing, but it has definitely changed me and how I look at life. I didn’t realize that Jacob was different from other babies until he was one year old. I thought that his developmental delays and the various complications were because he was 5 weeks premature. When doctors and specialists talked about developmental milestones, I had no idea that Jacob had his own agenda as far as development. He took longer than most children to reach those milestones. In fact, he didn’t speak until he was 5 years old. Jacob became quite good at sign language and for a child who couldn’t speak he somehow got his point across loud and clear. Now, he doesn’t stop talking. Jacob is unique in the fact that no one else has this particular deletion of the 4th chromosome. He seemed to baffle the medical professionals, but luckily we’ve found a good mix of medications that work well for Jacob to help him function in his day to day routine. Along with the medications, throughout the years, Jacob received many therapies…occupational, physical and speech…which helped him develop and strengthen his fine motor skills, his gross motors skills and coping mechanisms to manage his sensory issues. Jacob also received in home therapy through ABA of Wisconsin to help with his intense behaviors. Today, Jacob is 23 years old. He graduated with all of his peers from Union Grove High School in 2013 and is now attending Careers Industries in Burlington, WI. Careers Industries is a vocational facility for adults with disabilities, which offers fulfilling work and other day services programs for adults with disabilities. I’m hoping that by sharing Jacob’s journey, I may somehow help other families facing similar challenges, and maybe answer some questions on how to cope with the day to day struggles. I think when you realize that you’re not alone and that there are other people who are experiencing some of the same challenges with their children, things seem a little easier. I started my children’s book series in March of 2013, when my first book, “Just Hold My Hand,” was published. This story focuses on Jacob’s sensory issues one day at the county fair. The second book in my series is “Jacob’s Hoop,” published in November of 2014. “Jacob’s Hoop” focuses on some of Jacob’s physical limitations and how the other children help him play basketball. My third book is titled, “What Makes Bella Special” which is about Jacob’s relationship with our Labradoodle, Bella. My fourth book in my series is, “Where Did the Sun Go?” Changes in weather affect our children with special needs and Jacob always asks when it’s cloudy, ”Mom, where did the sun go?” I thought that would be the perfect title for this story. I also have a website, www.karenfrancobooks.com to learn more about me, Jacob, and our books. Knowing the challenges firsthand, I feel that my books have given me the opportunity to share with other parents what life is like living in Jacob’s special world. Not to mention all the things that I needed to learn in order to keep up with the ever changing and ever demanding young man that is Jacob. Knowing you are not alone brings about hope, love and strength during those difficult times. I think this is where my journey of being an advocate for children with special needs began. As I talk about Jacob’s life, I have always felt this never ending worry about his future. Who will take care of Jacob when I’m gone? Who will do all the things that I’ve done to make him happy and comfortable? In order to get peace of mind, I needed to know he would be safe, happy, secure and taken care of while I’m still in his life. With that said, I started my search for a group home for Jacob. I was still working with Jacob’s ABA therapist, and she was giving me guidance on what to look for in a home, questions to ask and what I needed to do to get Jacob prepared for this next stage in his life. I did find that particular home for him. An opening and opportunity came to us this past summer. For myself and for this new home, I began writing notes about who Jacob is, all about his morning and evening routines, his favorite foods, what his capabilities are, his skill level in performing daily personal tasks…everything I could possibly think of to hand over to this staff who would now have the responsibility of taking care of my son. It ended up being a binder of information. I kept asking myself, how do I put all this knowledge that I learned over 23 years as Jacob’s mom into words that others could understand and appreciate? Well, I did it to the best of my ability and I do believe the staff at the group home was surprised and appreciative of the time that I took to help them learn about Jacob. Along with the binder of information to help Jacob with this monumental transition, I worked with the house staff on a weekly basis of exposing Jacob to this new home, other residents, taking him along on group outings in the community as well as an overnight at the house so Jacob could get a feel for this new environment and their routines as a household before this big move. With the help of our ABA therapist, she created a wonderful “social story” to introduce this change to Jacob in a very gentle way. He was quiet at first after she read him this story. We could tell he was trying to process all this information. Finally, he said, “ok” and she asked him if he would like to start packing a few of his things from his bedroom to take to his new house and new bedroom to help him feel a part of his move. Jacob agreed and he went into his room and did just that. My husband and I were amazed and I couldn’t help but cry knowing my son was on his way to the next stage of his adult life. Jacob has truly grown so much emotionally and I am incredibly proud of how he handled this transition. Don’t get me wrong, he is a little homesick and asks on occasion to come home, but with redirection and help showing him how nice his new home is, he is fine and is flourishing in his new environment. The staff and the other residents are really enjoying having Jacob in the house. He is meeting new people and being able to go to many new events. I’m excited for him, but best of all he is excited to tell us all about the things he has been doing with his new friends. Contact Karen at her website, www.karenfrancobooks.com or @KarenFrancoBooks on Facebook. Need help creating a book with information about your child? …like the binder Karen created for her son, Jacob, that included details about “who Jacob is, all about his morning and evening routines, his favorite foods, what his capabilities are, his skill level in performing daily personal tasks…everything I could possibly think of to hand over to this staff who would now have the responsibility of taking care of my son” … and more? 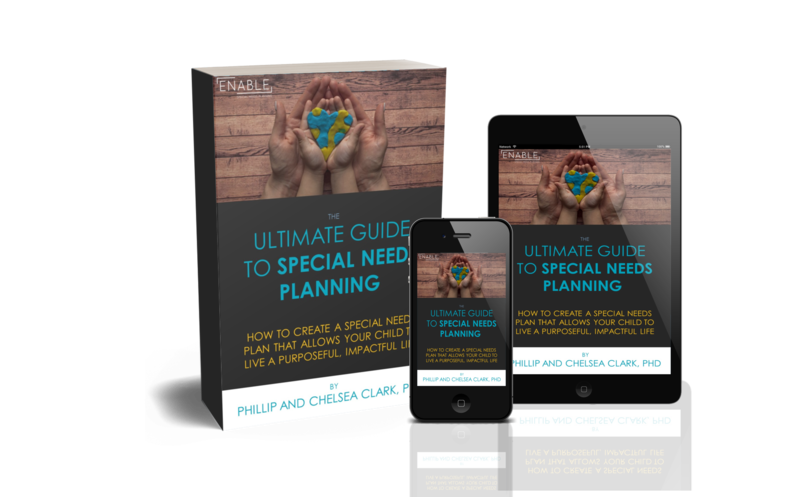 Check out the ENABLE Life Plan tool that helps you systematically record every essential detail of your child’s life by guiding you through a series of multiple choice and essay questions. Your Life Plan will include details about your child’s daily routine, personal preferences, doctors, therapies, and medications, and much more—organized in document that’s easy to navigate and update—containing all of the details about your child’s life that perhaps right now you only know in your head.